Recently a reader commented on the Rhodia Facebook page that she wishes the Rhodiarama softcover notebooks came with lined pages. The Rhodiarama softcover notebooks come with lined or dot grid pages, in A5 and A6 (pocket) size, with 16 different cover colors. Click here for more info and where to buy. The Rhodiarama hardcover notebooks also come with lined pages, or blank. They are available in A5 or A6 size, with 15 different cover colors. See more information including where to buy here. 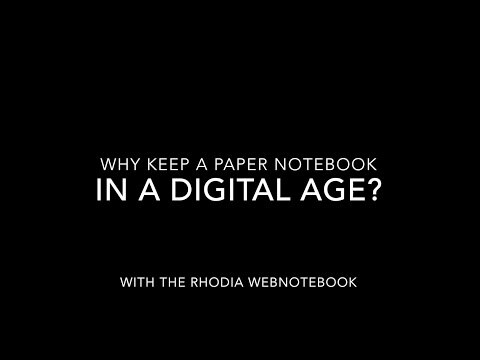 Also, the famous Rhodia Webnotebooks are available with lined, blank, or dot grid pages in a variety of sizes and styles including A5, A6, reporter’s notebook, and landscape. They are available with black or orange covers, or in the super-cool silver Rhodia Ice covers. You can see more details of all the Rhodia Webnotebook products including where to buy here. Do you also offer cross grid or dots in those ranges? Since it was my “comment/Question” on Facebook that inspired this posting, I think it would be a great idea if you would “share” with me a few “samples” of the new colors! I’d love to have one in every color. I use the Webbies as my daily journal/Morning Pages. I just love the paper in these notebooks and am on my last Orange one! Needles to say Rhodia is fantastic and it is my staple for note, letters, lists, and planning, not to mention journal writing. I highly recommend them to anyone I meet into writing and Journal writing!